Wow! This has gotta be your coolest update yet. Those flames are just killer. 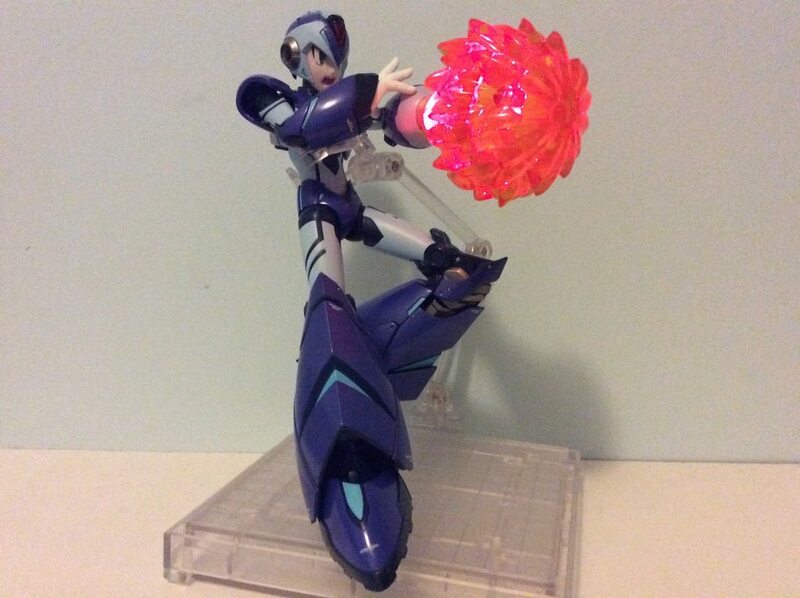 I need to stop spending my money on figures for a bit so I can buy those things. 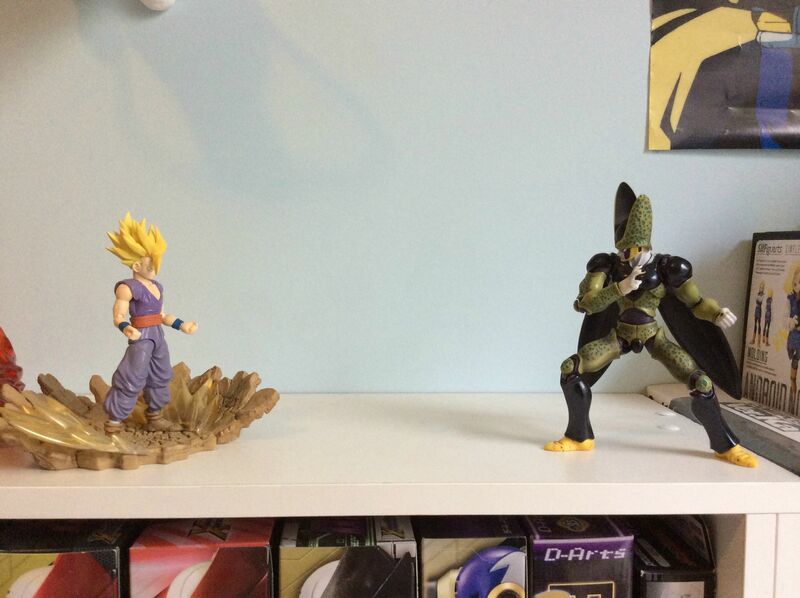 The dying namek is just what I want to use them for, so I'm very pleased to see how great they look! 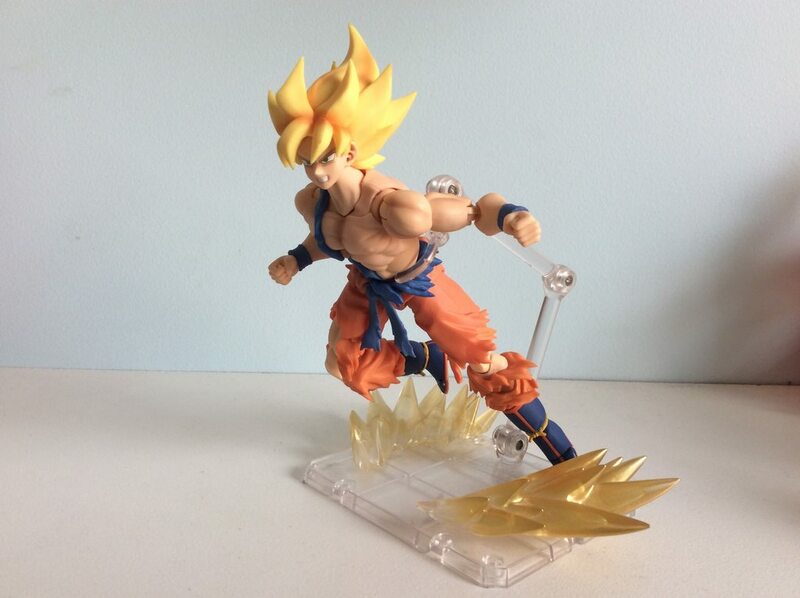 The way you have them flying off Goku as he lunges forward is fantastic. 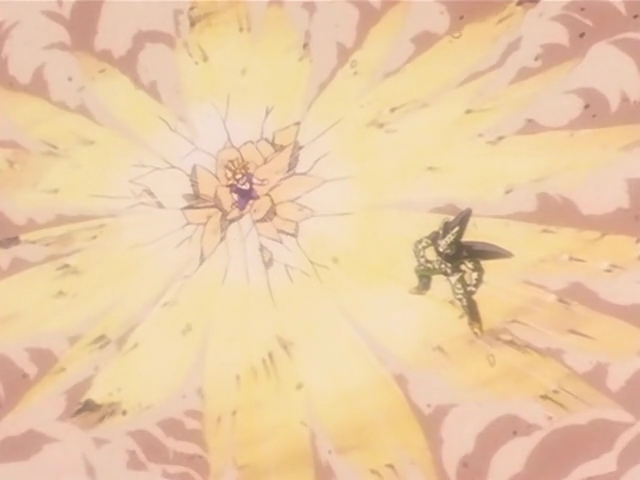 But that Vegeta in the flames, man. That's perfection. Looks just like in the Anime. Yeah, as well as the static blocks of flame that form a ring, there are pieces that clip on around wrists and the like. It's very cool. 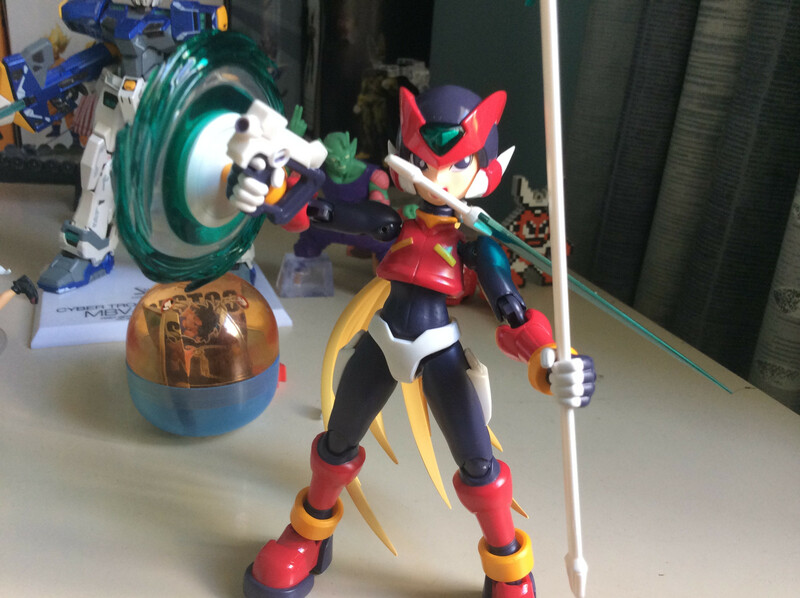 Mega Man Zero style Zero has arrived. This is the same character... just in different artstyles. THE SHIELD WEAPON WHOSE NAME I FORGOT! He's got a lotta weapons. I'm pretty pleased with this figure. The concerns I had about his proportions are pretty minor in real life. As for fitting in with the rest of my collection... that still stands, but whatever. I know this guy won the poll. 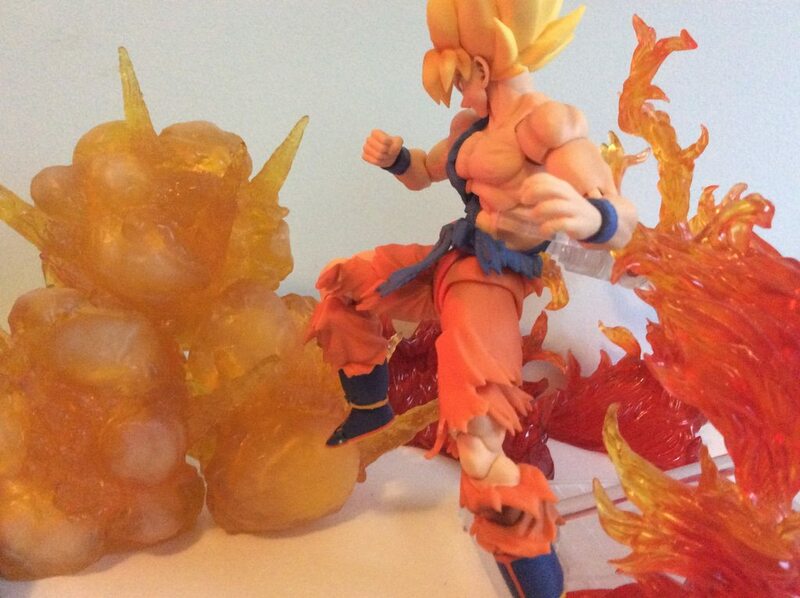 But I wonder how many poll voters were figure collectors at all. 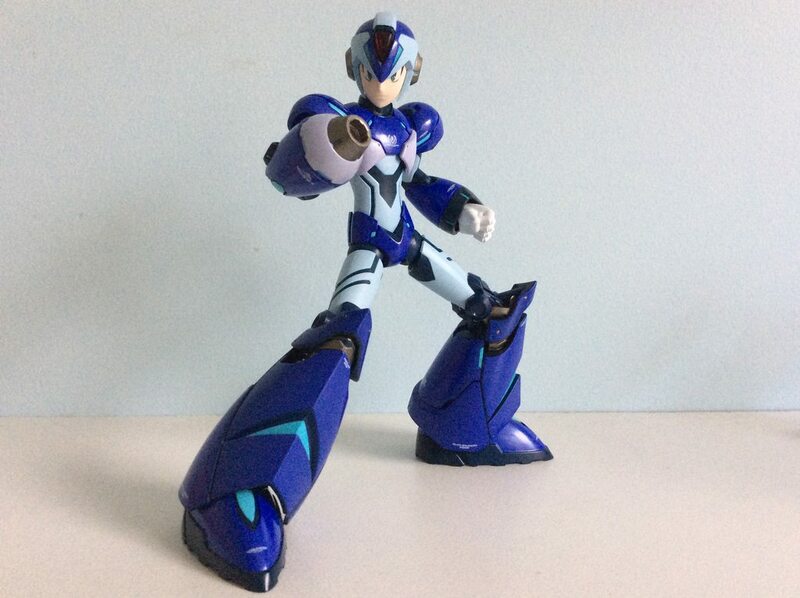 They were posted on all manner of Mega Man sites for non-collecting fans to have their say. Zero series fans are very vocal but relatively small in number. 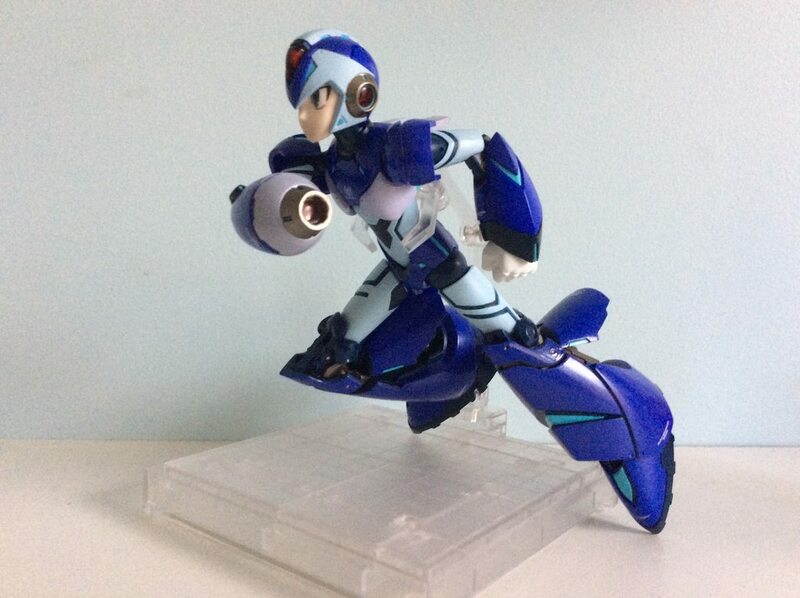 I just hope that this Zero sells well enough, and the Mega Man line continues. WITH MORE X SERIES CHARACTERS! 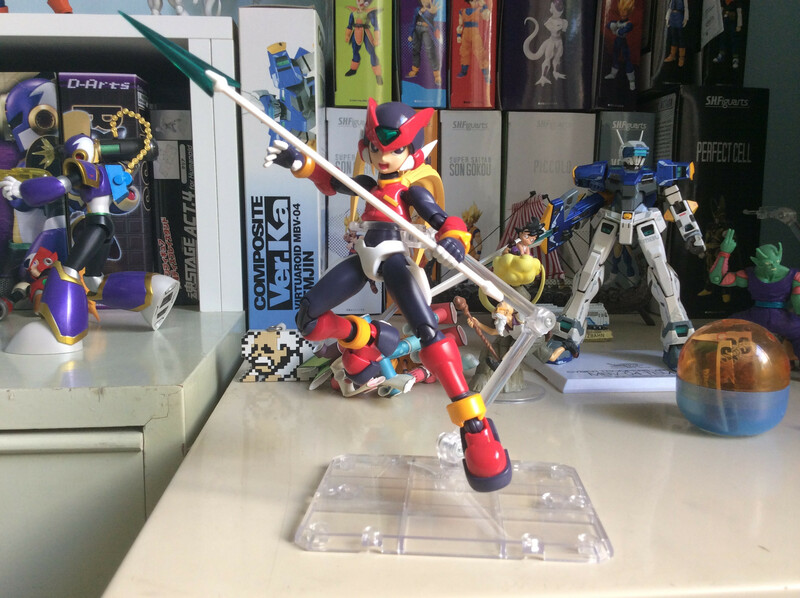 I don't know about other people, but this Zero was a "must have" for me. Hope you liked him as much as I do, but I might be one of those few Zero fan out there. 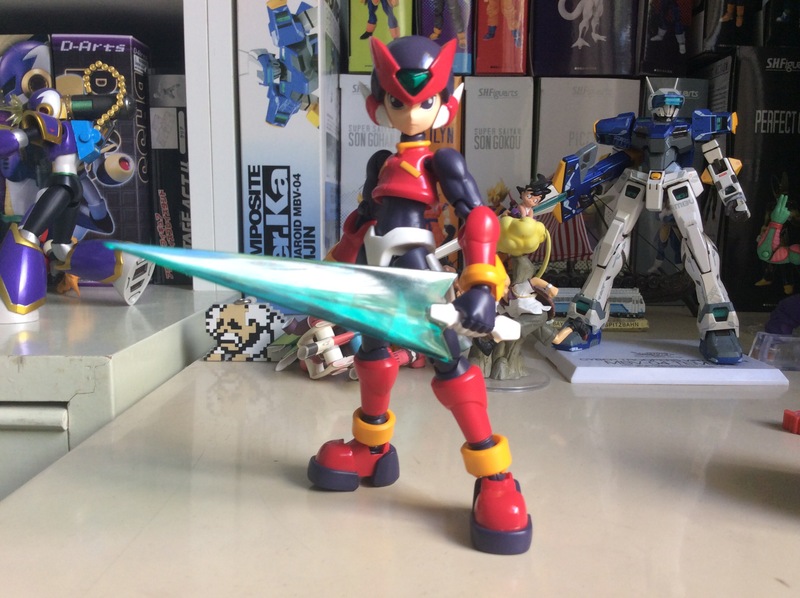 Same here, this Zero seems to be the best figure out there. Hopefully we'll get a Copy X and possibly the 4 Guardians to go with them. Yesss I'd love a copy X and the Guaradians, especially Harpuia. My wallet would'nt love it though haha. 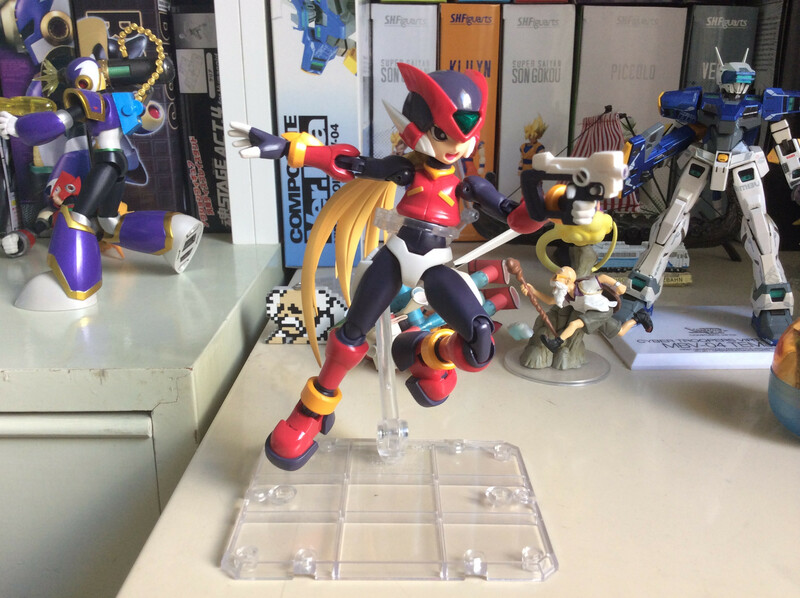 Its definitely the best Zero figure on the market, unless you count some Wonder Festival statue as being better. 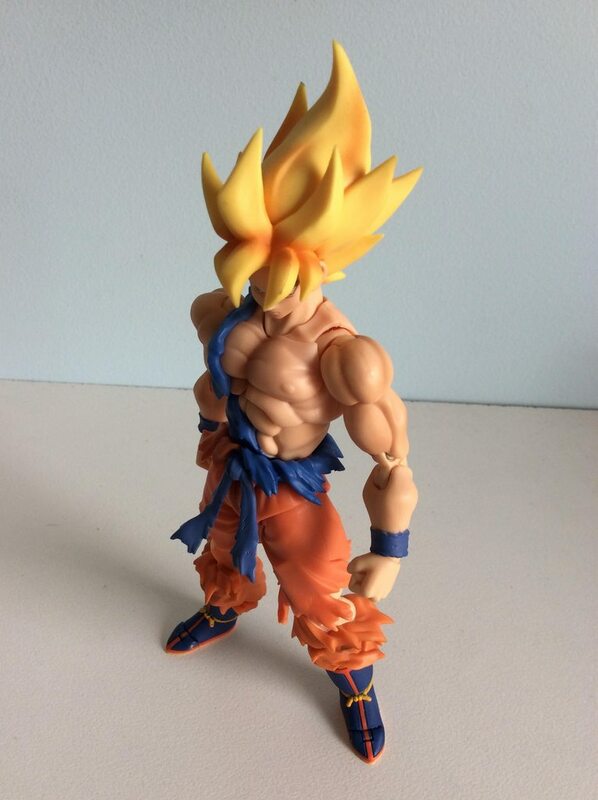 It's better than Kotobukiya's awkward looking model kit at least. 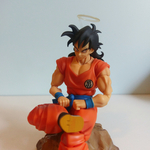 And I am very happy with the figure itself. 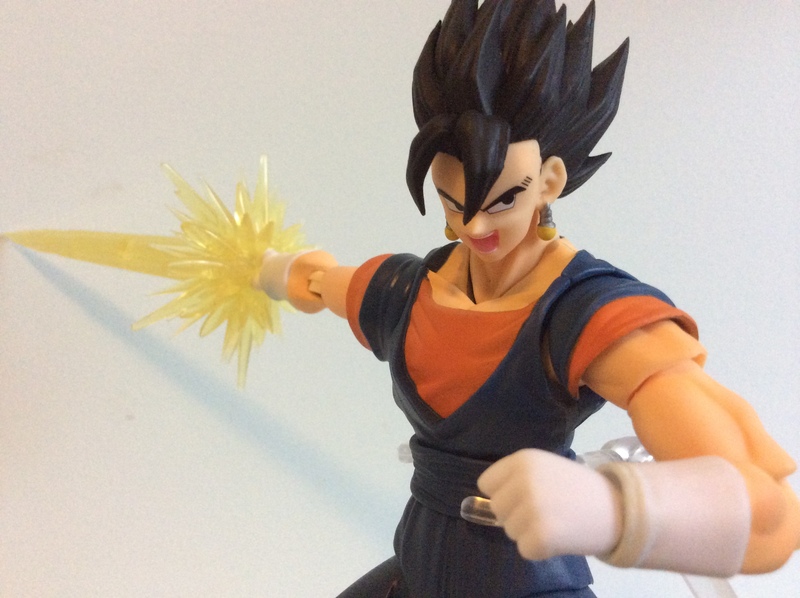 Its just the direction Tamashii's taking by making him now that bothers me. More Zero figures...? But... but... my X characters! 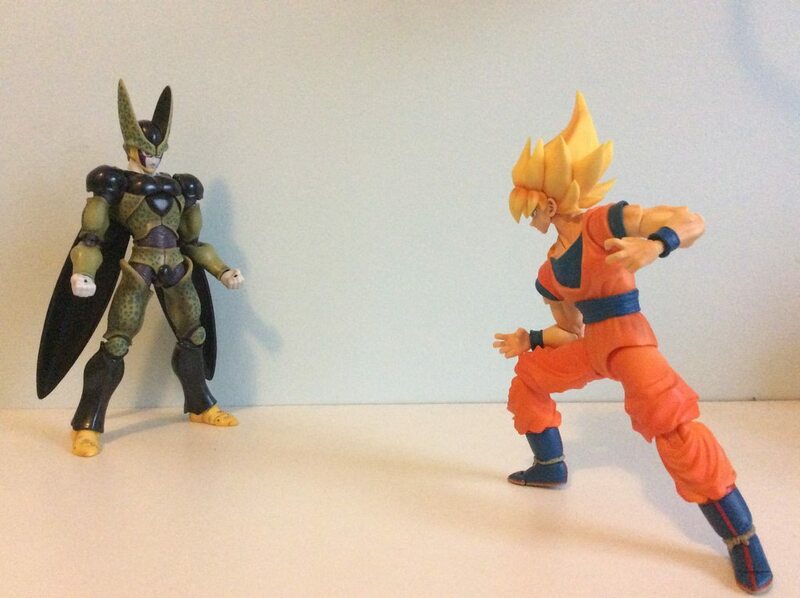 I really like the Cell pose you got. Helps what is one of the line's least satisfying figures. 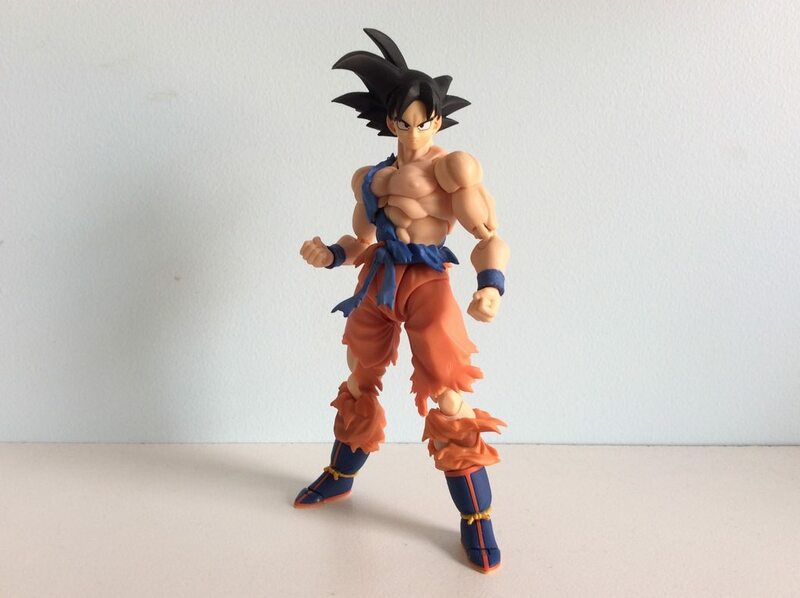 I don't know, his proportions may be off but I've always liked him as a figure. His head comes on and off beautifully. 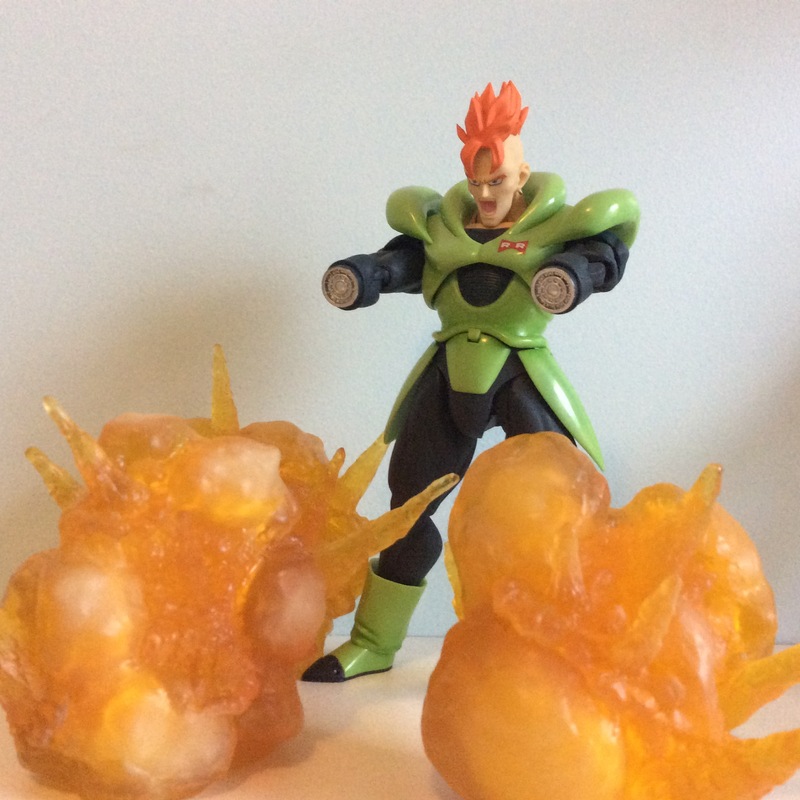 Every single other figure with swappable heads is tedious and annoying but with Cell it's silky smooth and instantaneous. And his joints are nice and smooth. yo first off that poster is DOPE,I don't think i've ever seen that full poster artwork! 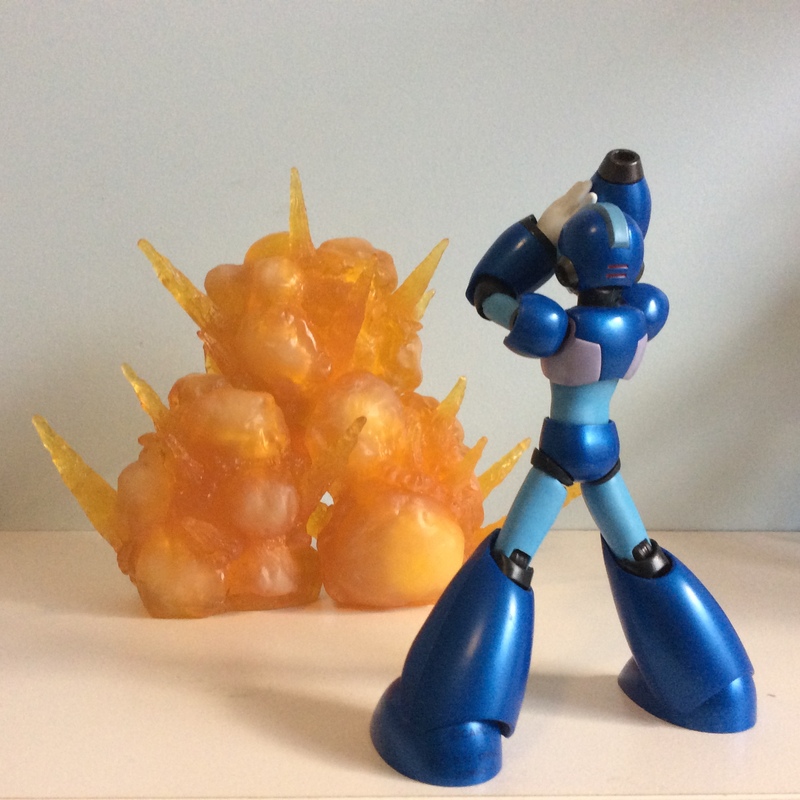 Also I'm loving your Megaman D-arts setup! But wheres sigma my man?! The proportion issues aren't as bad in person, I agree. I think with proper posing he looks swell. The head needs to be posed down a bit with a little less neck and the shoulders higher and close to the vest like your first pic! I digress. Sick setups all around! PS. 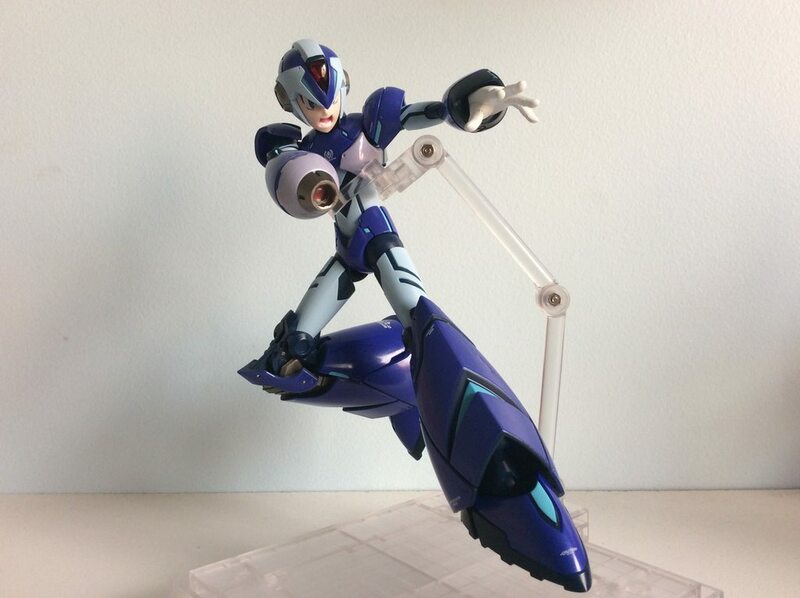 the hair is so versatile and fun to pose! and i really am hoping they follow through with a copy X so i can die happy. On Sigma - I skipped him, because 1. He's too massive for my shelf and 2. He's a statue. I might get him eventually if I magically get more space. I think I'd just display him on his own though. He just doesn't mesh with my displays. Great looking though, but oh well. 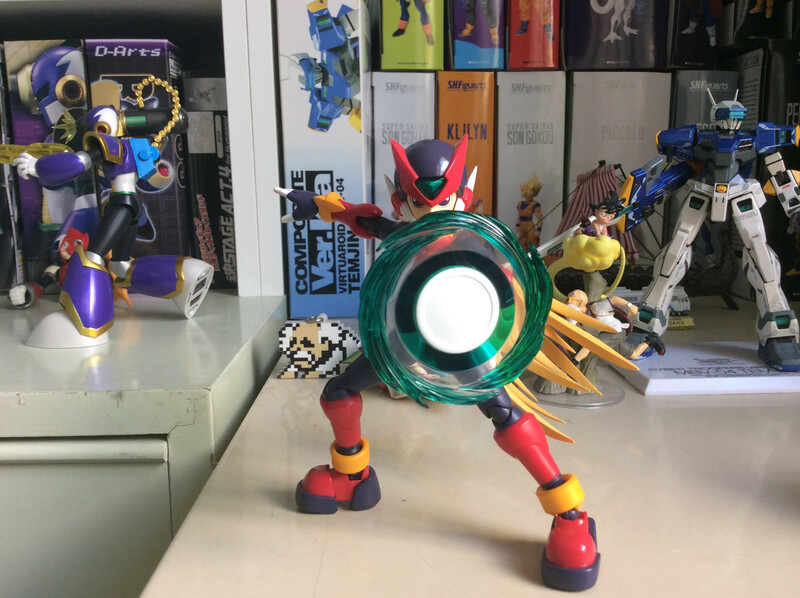 I do enjoy Zero. His hair didn't stay in super well at the start but I think it's alright now. 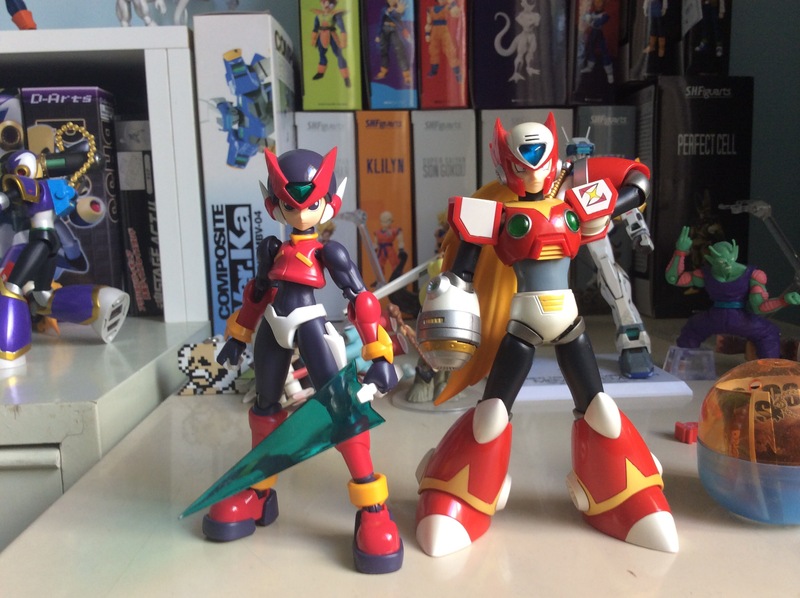 Not everyone likes him, every time I show people the two Zero's and say "these are the same character" they ALWAYS say the X series design is cooler. APPRECIATE TORU NAKAYAMA YOU PUNKS! Lol but I'm glad I own him. He was worth getting. You are right. 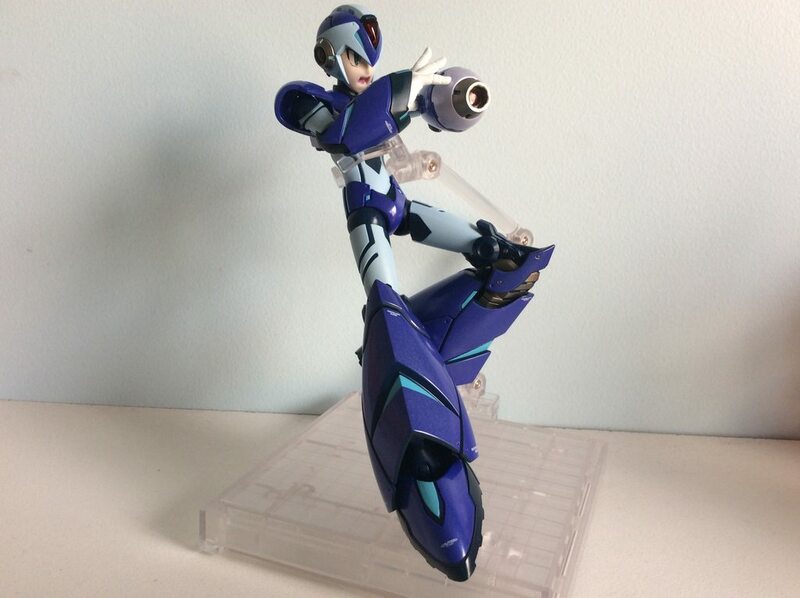 You know more about the figure than I do since I don't own it. I should have said it's visually one of the least satisfying because of his enlarged eyes, scrunched chest, and dull paint job. But that's good his posability makes up for it. Yup. Why I like it. These are some awesome pics Wave!! 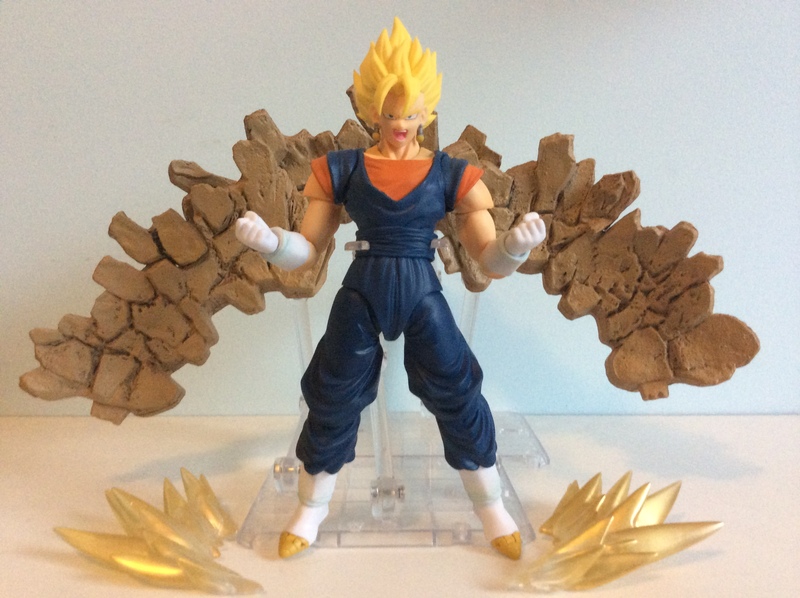 Vegito (Vegeto? 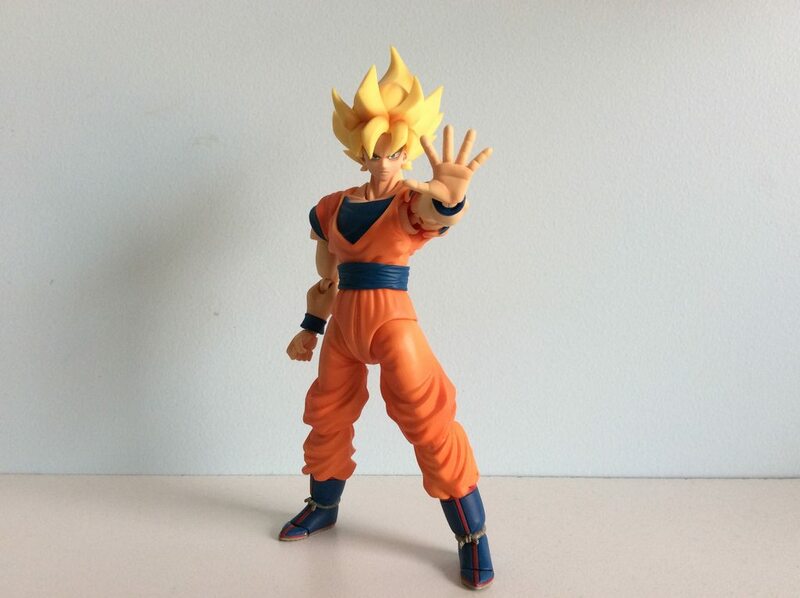 Vegetto?) is in. 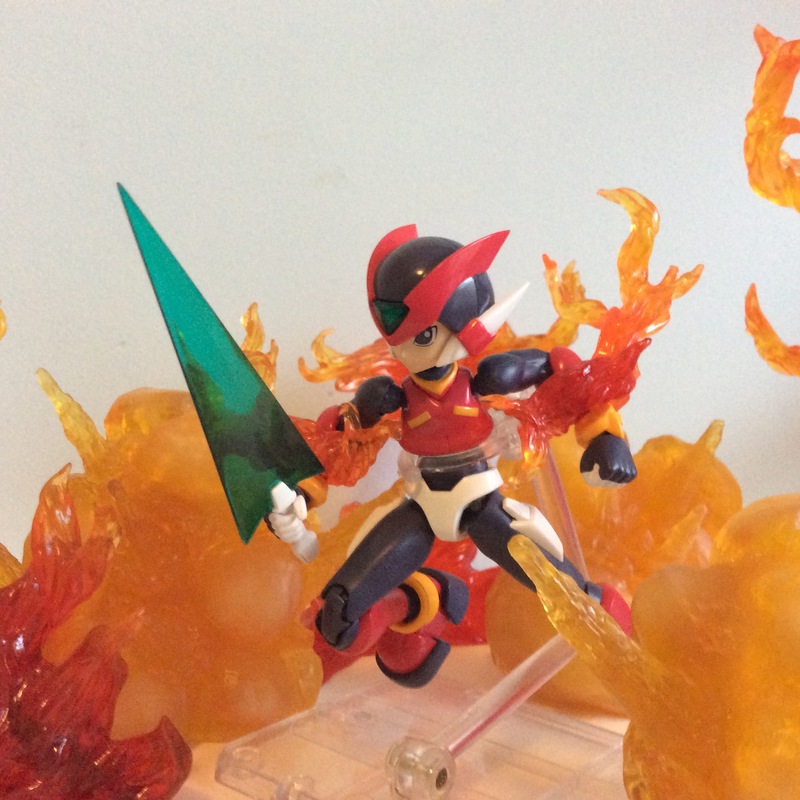 And a couple of Spirit Sword pics. I'm pleased with Vegito, I feel that he lived up to my expectations. I haven't seen any issues with my orange parts or neck area. 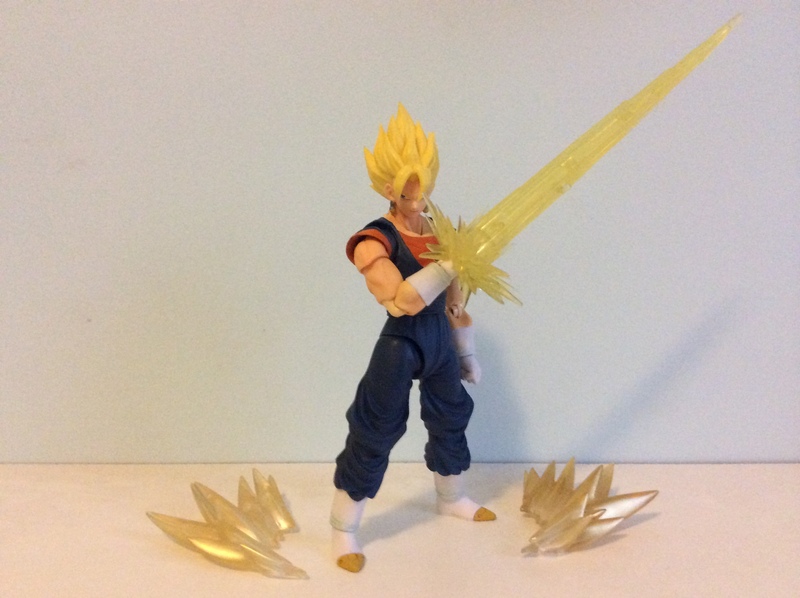 While it is true that his Super Saiyan hair is somewhat plainer than the rest, I don't really mind it personally. 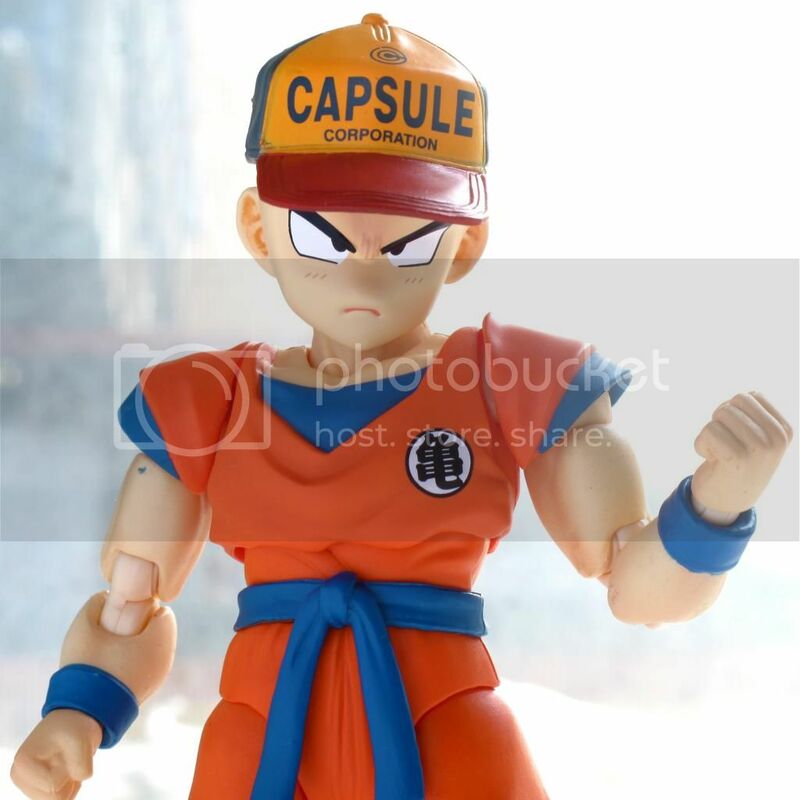 I find it comparable to SS Goku. 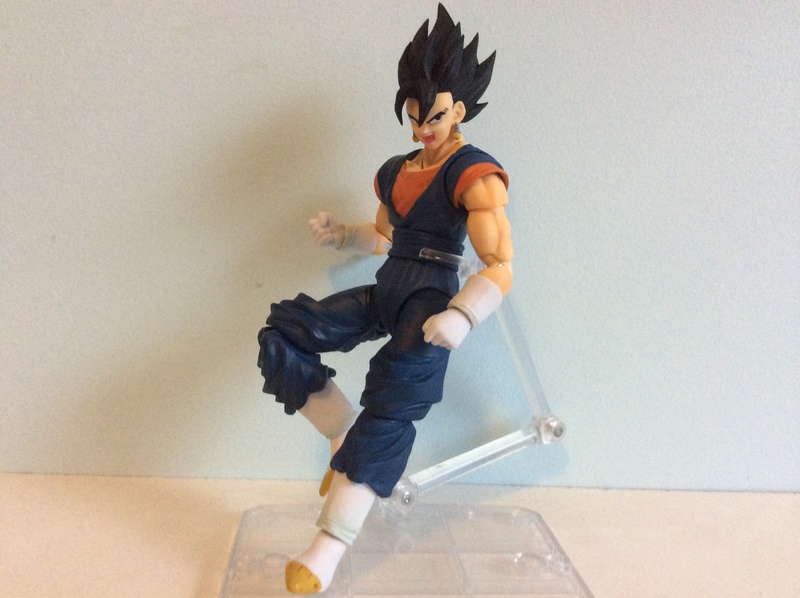 Trunks and Gohan have white shading, while my Datong Vegeta has different orange shading again so I've already got a bit of variation in style. He died in an explosion. I hope nobody notices what I forgot in this picture. Exploding Implosion is quite fun! Although the promo pics do a good job of hiding the fact that they are actually hollow at the back. Still look awesome, just not from all 360 degrees. 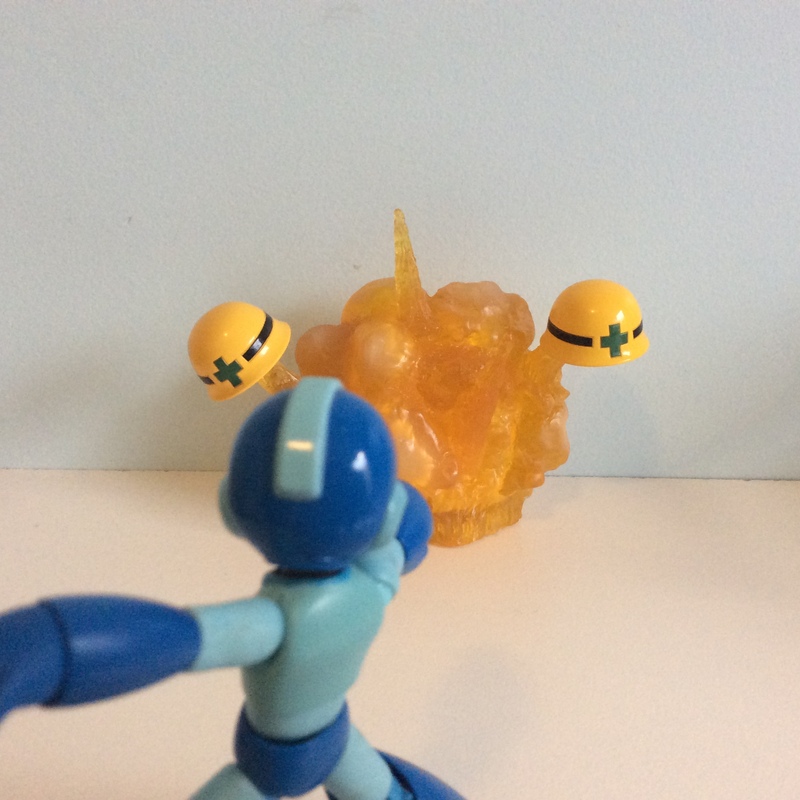 Alright, I gave those MMX TruForce pics a while, but I don't think any more inspiration is coming, so you may have them now. 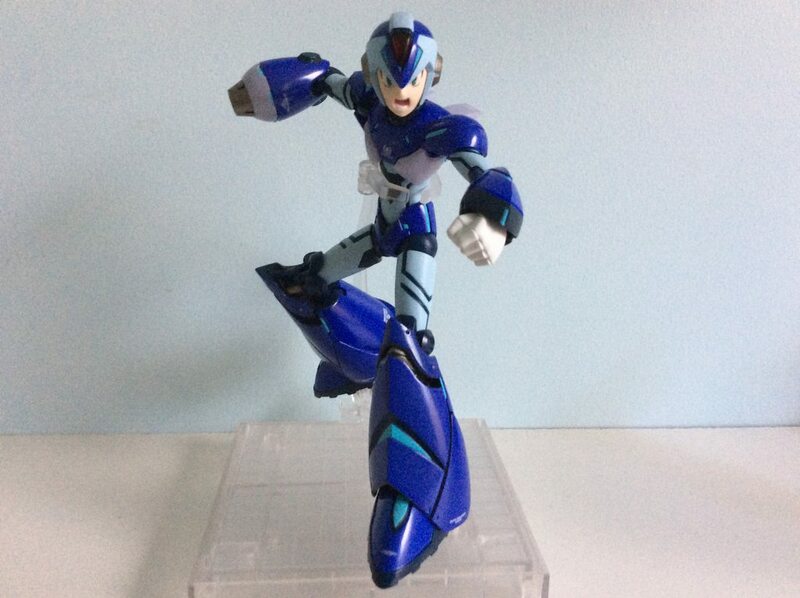 The face really reminded me of X8 somehow. Also note that the stand is mighty and strong. Air shot, typical MMX fare. The only issue with the stand is that you can't freely rotate the claw at the "wrist" so to speak. It has a pair of notches for strength, which means it stays well when it's straight, but it locks out the range of rotation between flat and as depicted here. Just has to be worked around a bit. With blast effect. It's actually yellow on a gradient to orange, but the buster LED is red. The light is kinda funny somehow. It's not bad at all to have it, but I wonder why it's there at the same time. 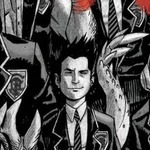 Than again this is no "traditional" X.
I would be far from disappointed to see further material from TruForce! Power of a pure heart. The worsening condition of Namek. Good ol' headswaps. 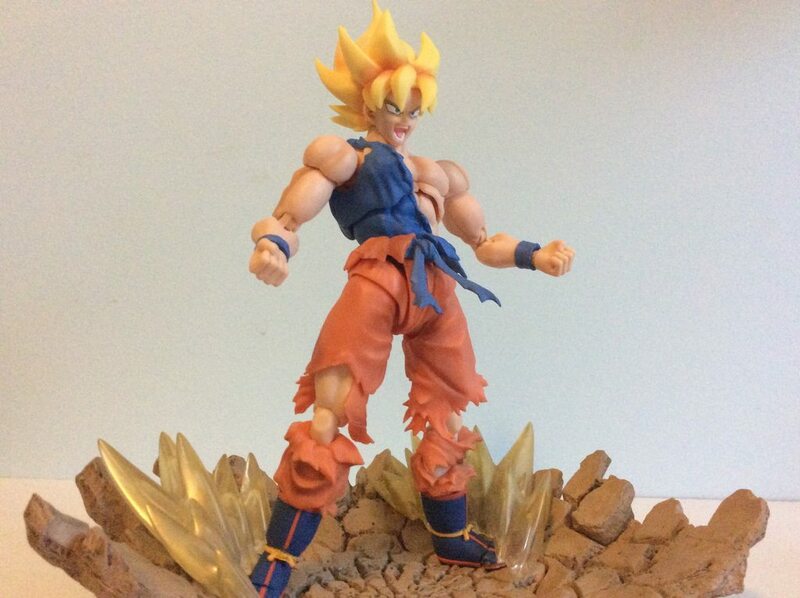 This is also mildly inaccurate, but looks pretty sweet. 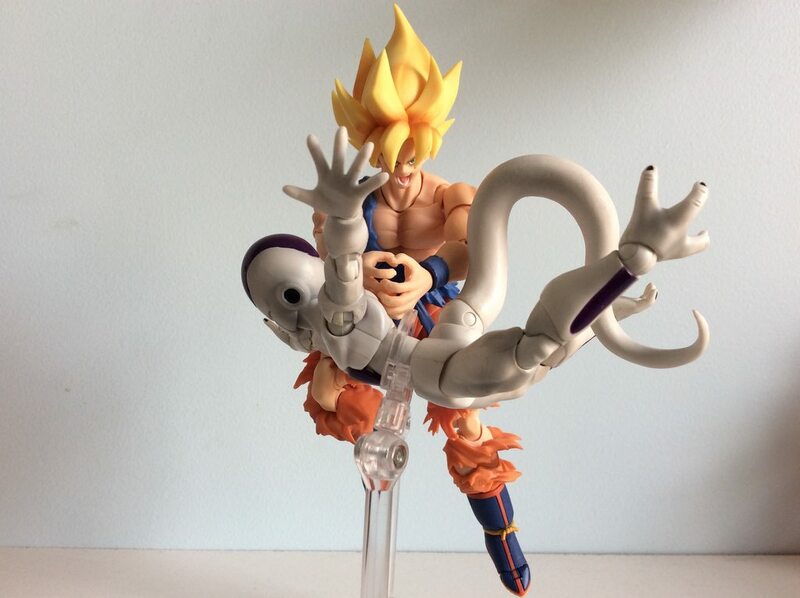 For me, this is not a bad post-Frieza Goku at all. I don't need to say anything. His paint is awesome. His molding is awesome. His hip joints are awesome. It is truly an awe-inspiring release.